We provide access to tools and resources that foster inclusive workplaces, workforces, communities, and city procurement opportunities. We deliver inclusive policy infrastructure, and public private program partnerships that expand access to talent pools, enforce fair and equitable employment, housing, public accommodations, education practices, and assist in fostering vibrant and inclusive city economies. Christina is a results-driven diversity and inclusion professional with twenty years of experience working with underrepresented populations in public, private, local, national and international settings. Ten years of her experience is grounded in organizational inclusion policy and process change. 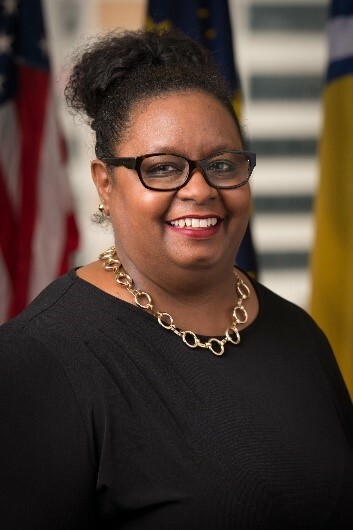 As the City’s first Diversity and Inclusion Officer, she is responsible for overseeing the creation and implementation of inclusive workforce, workplace, community and diversity purchasing policy development and programs. Before joining the Mayor’s Office as the first Diversity and Inclusion Officer for the City of South Bend, she held positions at Notre Dame in the Gigot Center for Entrepreneurial Studies, Undergraduate Admissions, TRIO Programs, and Human Resources as Notre Dame’s first Program Manager for Staff Diversity Recruiting. Prior to that Christina was the co-founder and Executive Director of Brooks Running Start Foundation in Washington, D.C. which focused on inner-city youth development. She also held leadership positions for the A. Phillip Randolph Institute, Tulsa, Oklahoma Chapter, and School Redesign Task Force with Tulsa Public Schools. Locally, Christina’s other leadership positions include, Board of Directors for Goodwill Industries of Michiana, Black Catholic Advisory Board-Diocese of Ft. Wayne/South Bend, Community for Peace and Nonviolence, and Black Faculty and Staff Association, University of Notre Dame. Christina holds a bachelor’s degree from Indiana University at South Bend with concentrations in Political Science and History and a Master’s in Non Profit Administration from Mendoza College of Business, University of Notre Dame. Christina also holds Contract Compliance Associate certification from Morgan State University. She is married to her best friend of nearly 30 years, Reggie Brooks, and together, they have five children. Want to know more about the City of South Bend Diversity Purchasing Disparity Study?